Large property (4 098m2) in sought after Cowies Hill. Main bedroom is sunken with carpeted flooring, air-con, tons of built-in cupboards) and its own living area. The other 2 bedrooms also have built-in cupboards, ceiling fans and Parquet flooring. Full en-suite bathroom in the main bedroom. Family bathroom plus a separate toilet. 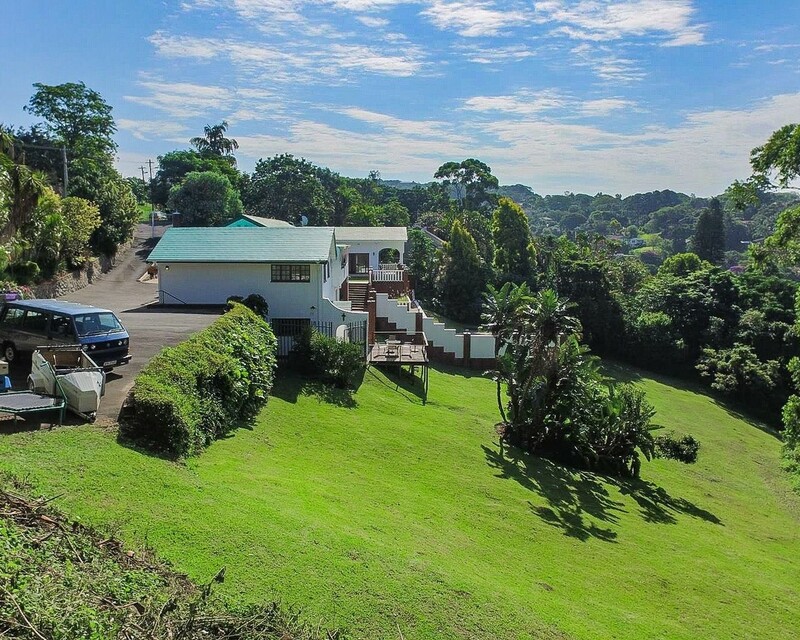 Large living, dining and bar area with splendid views over the gardens, sparkling pool and Pinetown. Fitted Oak kitchen with eye-level oven and hob. Also has a separate scullery. Outside the joys continue! Staff accommodation has been converted into a teenpad (1 bedroom + 1 bathroom), bachelor flat 1 (1 bedroom, 1 bathroom, kitchen + lounge) and bachelor flat 2 (1 bedroom, 1 bathroom, kitchen + lounge). You will also find a staff toilet, double lock-up garage and space like you cannot believe!